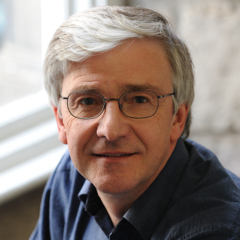 Austin Tate is Director of the Artificial Intelligence Applications Institute (AIAI) and holds the Personal Chair of Knowledge-Based Systems at the University of Edinburgh. He is a Fellow of the Royal Academy of Engineering (FREng), a Fellow of the Royal Society of Edinburgh (FRSE, Scotland’s National Academy), Fellow of the Association for the Advancement of AI (FAAAI), Fellow of the European Association for Artificial Intelligence (EurAI), Fellow of the British Computer Society (FBCS) and on the editorial board of a number of AI journals. His internationally sponsored research work is focused on emergency response and involves advanced knowledge and planning technologies, and collaborative systems especially using virtual worlds. He is coordinator for the Virtual University of Edinburgh (Vue) a virtual educational and research institute bringing together those interested in the use of virtual worlds for teaching, research and outreach.